When I first got to Copan Ruinas, Honduras, I was absolutely terrified. I kept on thinking: “What have I done? What was I thinking going so far away from home?”. The answer was simple. I wanted to speak Spanish fluently. 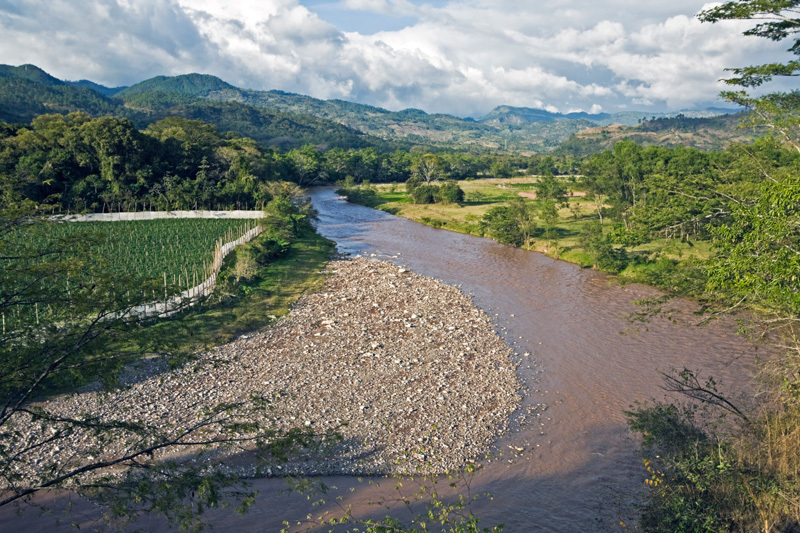 What better way to do that, than to immerse yourself in Honduras for two months. I had no choice but to learn to communicate in Spanish here, and luckily my fears soon passed once I was introduced to my host mom. I had decided I wanted to study at the Guacamaya Spanish School because they offer four hours a day of one-on-one instruction, as well as the option to stay with a family, to participate in volunteer work and join in weekly activities and trips. The maestros are excellent. They will adapt their teaching program to whatever speed you wish to work at and find many creative ways to expose you to Copan’s culture. For example, my teacher, Julia, would take me to the market to learn the names of vegetables and show me around town. That is the beauty of Copan. It is very peaceful, very safe and the people couldn’t be friendlier. You are sure to make many new friends, whether they are other students or tourists at one of the local bars or with the locals. However, as a female tourist, it is important to be aware of some of the cultural differences in Honduras, especially the extra, sometimes unexpected, attention from the male population. Only a ten minute walk from town, you will find the Mayan ruins of Copan. The school can help you arrange a tour guide or you can just walk around on your own. The ruins are absolutely magnificent! I also had the opportunity to work with some of the best local sculptors and learn to carve Mayan designs in rock. This allowed me to practise my Spanish, get to know the locals and learn new artistic skills. Other activities I participated in were horseback riding, trips to the thermal hot springs “Aguas Calientes” and a weekend trip to the town of Gracias and the national cloud forest park “Celaque”. There are many more activities as well, from dancing and cooking lessons to cave exploration and soccer. Living with a host family really enhanced my experience in Copan. I got to practise my Spanish, was shown around town, and introduced to new people and to Honduran cuisine. Most importantly they made me feel at home and took exceptional care of me when I came down with a stomach parasite. While this experience was a little scary, I could not have been looked after better. The director of Guacamaya made sure to take me to see a doctor and my host mom cooked me nutritious meals. Soon enough I was back to enjoying beautiful Copan. Through my time in Copan Ruinas at Guacamaya Spanish School, I got to know a brand new culture and way of life. I learnt how to speak Spanish fluently, made new friends, stood on top of ancient Mayan temples and learned to travel independently. It was truly a unique experience that I won’t soon forget!